ANNE M. BALOGH CANFIELD - Prayers will be held on Saturday at 9:30 a.m. at the Higgins-Reardon Funeral Homes, Austintown Chapel, followed by a Mass of Christian Burial at 10 a.m. at the Immaculate Heart of Mary Church for Anne M. Balogh, 85, who passed away Monday evening at Hospice House with her family by her side. Anne was born Sept. 10, 1928, in Youngstown, a daughter of the late Larry and Theresa (Manzi) Carrocce. Anne was devoted to God and her family. She had amazing strength, character and patience. She believed in working hard, rising above the challenge of each day and with God’s help she could do all things. Her passions and life were cooking for family, shopping and traveling to Italy. 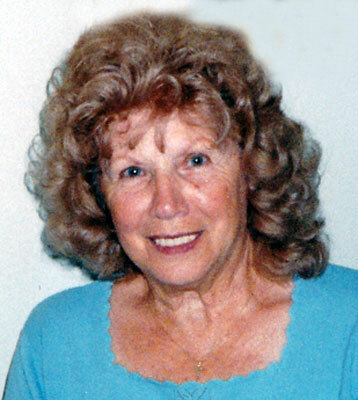 Anne retired at the age of 75 from Waldon Management in Austintown. She was a member of the Immaculate Heart of Mary Church in Austintown. She will be sadly missed by family and friends. Anne leaves her 10 children, Dennis (Carol) Balogh of Buffalo, N.Y., Judy (Robert) Halko of Canfield, Linda (James) Di Frangia of Austintown, Pamela Ginnis of Bexley, Theresa (Clyde) Bliss of Upper Arlington, Victor (Cindy) of New Castle, Pa., Rita (Greg) Balturshot of Dublin, Lisa (Richard) Lawton of Canfield, Rosanna (Christopher) Nickison of Canal Westchester, and Thomas Balogh of Austintown; 16 grandchildren; four great-grandchildren; a sister, Virginia Centofanti of Struthers; and a brother, Dominic (Vernie) Carrocce. Anne was also preceded in death by eight siblings. Family and friends may call Friday from 4 to 8 p.m. at the funeral home. Material tributes may take the form of donations to Hospice of the Valley, 5190 Market St., Boardman, OH 44512 or the Immaculate Heart of Mary Church, 4500 Norquest Blvd., Austintown, OH 44515.